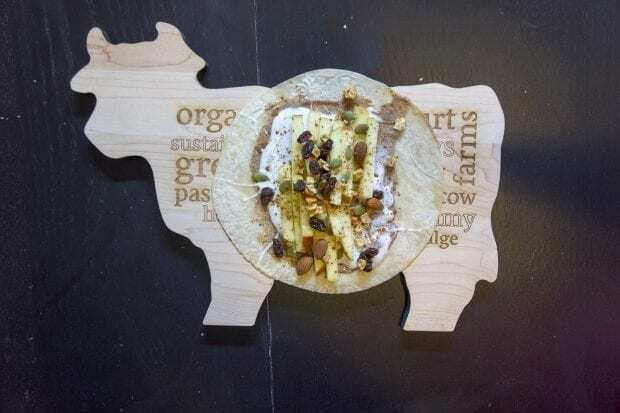 I am a Stonyfield Clean Plate Club ambassador, all thoughts and opinions are my own. We are always looking for healthy snack options for after school snacks or even just a way to switch up the breakfast routine. 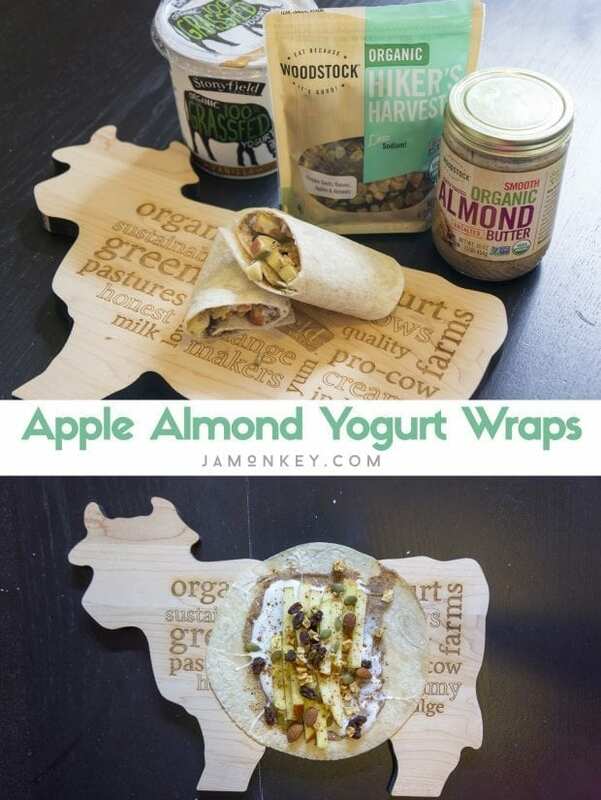 The Apple Almond Yogurt Wraps are a great way to do that. They are easy to make and my kids loved them. 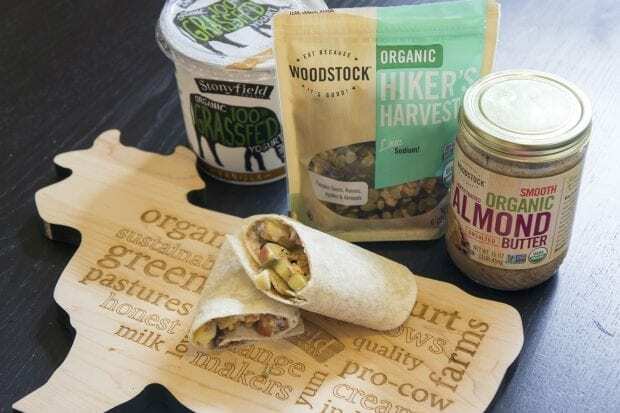 Using Stonyfield 100% Grassfed Yogurt and Woodstock Foods Lightly Toasted Almond Butter and Hiker's Harvest is a great way to pack in the protein. The Hiker's Harvest is my latest addiction. It has dried apples, pumpkin seeds, almonds, and raisins in it. 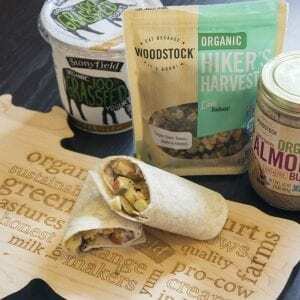 Woodstock Foods has a wide range of great organic products. 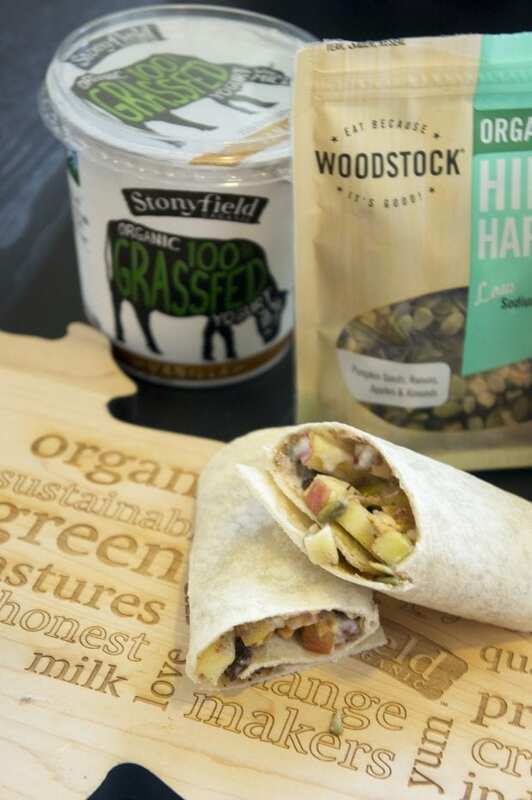 Check out our video on how to make the wraps! Get the kids involved and let them make this yummy snack with you. They will be more likely to try it that way. One bite and they will be hooked. Layer the ingredients into your tortilla and roll!